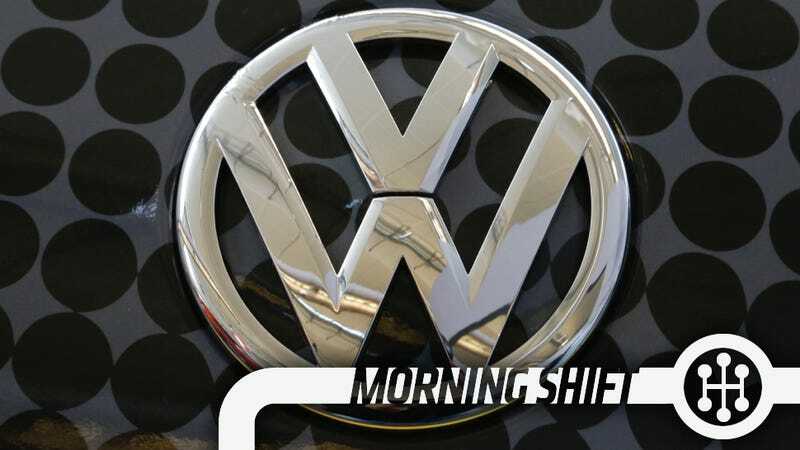 1st Gear: Is Mutiny Coming To Volkswagen? Volkswagen’s strategy, for decades, was to just build cars for the masses. Then, about 15 years ago, it decided it would go upscale in the United States. When that didn’t work (in part because VW already owned Audi, in part because American consumers didn’t understand why they would buy a Volkswagen when they could get a Mercedes), it decided it would go for beigekrieg, and try to compete with Toyota by making every car for every person, and it would sell a whole lot of cars. It even set a sales goal of 800,000 cars, and told its dealer network to prepare for an onslaught of customers accordingly. Steve Kalafer, owner of the 17-franchise Flemington Car & Truck Country, which includes a Volkswagen store in Flemington, N.J., said a group of VW dealers is considering legal action against Volkswagen. Kalafer stressed that he is not involved in the effort but said, “I can tell you without question, it’s absolutely going to happen. A dealer told AN that the company might abandon the beigekrieg strategy, and go back to trying to competing with Mercedes, which worked so well the last time that the company gave it up pretty quickly. What I want to know is why Americans haven’t gotten the Up! yet?! Hydrogen is a wonderful fuel. It’s clean, you can put it in a tank, and the technology to make hydrogen cars is already here. The only real reason we’re not all driving hydrogen cars right now is because there’s a bit of a chicken-and-egg problem. No one’s driving hydrogen cars, so no one wants to build the hydrogen infrastructure (that is, filling stations, pipelines, trucks, etc.). But no one’s driving hydrogen cars because there is no infrastructure. If the automotive industry really, genuinely wanted to solve this problem, it likely could pretty easily. Building out an infrastructure is expensive, sure, but it’s do-able. Tesla, one of the world’s smallest automotive companies, managed to build out a super-fast electric charging infrastructure, all on its own. Sure, hydrogen represents the issue on a much greater scale, but surely an automotive of company of much greater scale than Tesla can make it happen. Toyota Motor Corp. and partners will begin a project to use hydrogen produced from renewable energy to power forklifts to test the feasibility of a low-carbon hydrogen supply chain. Electricity generated at a wind-power plant in Yokohama City near Tokyo will be used to separate hydrogen and oxygen from water, the partners including Toshiba Corp. and Iwatani Corp. said in a statement Monday. Congratulations, Toyota. I know it’d be a huge risk, but maybe one day you’ll make it actually happen. There was a lot of concern the other day that the price of oil was finally back on the rebound. Iran didn’t get that message, so it isn’t. Maserati Ghiblis and Quattroportes are being recalled because their driver-side floor mats might come loose and get stuck on the accelerator pedal, leading to unintended speed, a crash into a brick wall (? ), a giant BLAMMO appearing over your face (? ), and inevitable fiery death (?). If you don’t remember to just shove it into neutral, that is. So they’re being recalled, Bloomberg notes. Beginning in April, dealers will be free to close their separate Fiat showrooms and combine operations with their Chrysler-Jeep-Dodge-Ram stores and thus dramatically reduce third-party vendor costs. For those who maintain separate showrooms, new direct cash payments — in the form of rent assistance — would boost dealers’ income. Finally, just what we’ve always wanted, maybe, I guess. John “Jack” Mack, who co-founded what would become one of North America’s largest makers of heavy-duty trucks, is killed when his car collides with a trolley in Pennsylvania on March 14, 1922. Neutral: What Do You Think Volkswagen Should Do? Go back to near-premium? Beigekrieg? Small cars? Big cars? Flying cars? Cars that taste like cheese? Who knows, it’s probably open to ideas at this point.